P.S. I am curious if anybody remembers the old brewery that used to stand where the shops are now? If you want to keep track of when I do a book signing or presentation be sure to sign up for email notifications. Thank you so much to everyone who ordered one, your support really means a lot to me. 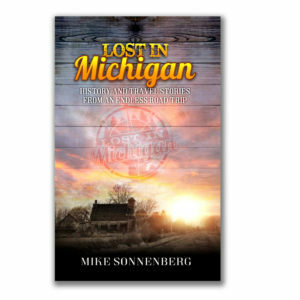 Besides doing Pure Saginaw I also do another website called Lost In Michigan HERE. 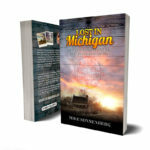 I a few months ago I published a book with some of my favorite locations and stories from around Michigan. 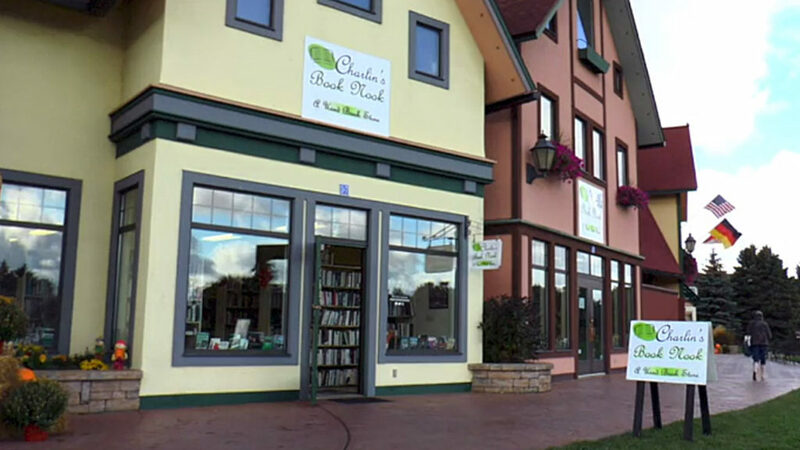 I will be selling my new book at Charlin’s Book Nook on Saturday, December 23rd in Frankenmuth at the River Place Shops selling and signing copies of my Lost In Michigan book from 10am-2pm. I hope you will stop by and see me especially if you’re in Frankenmuth. I can’t think of a better city in Michigan to visit at Christmas time. If you live in Saginaw you can also purchase books from the Savoy Bar and Grill on Franklin Street in downtown Saginaw or at the Castle Museum gift shop. 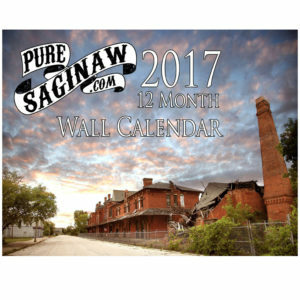 Pure Saginaw wall calendars are almost gone. I sold a lot of them at the Arthur Hill Bazaar ( THANK YOU if you got one there) I don’t have many left and It’s too late in the year to get more printed and yes they are proudly printed in Saginaw. they may be gone this weekend, if not next weekend for sure, so if you want one you can order them HERE. Thank you a ton to everyone that got one, they help me with expenses to do this website and your support means a lot to me. If you have followed Pure Saginaw for a while you may already know that I also do the Lost In Michigan website. I printed some books with some of my favorite stories from my travels around Michigan. 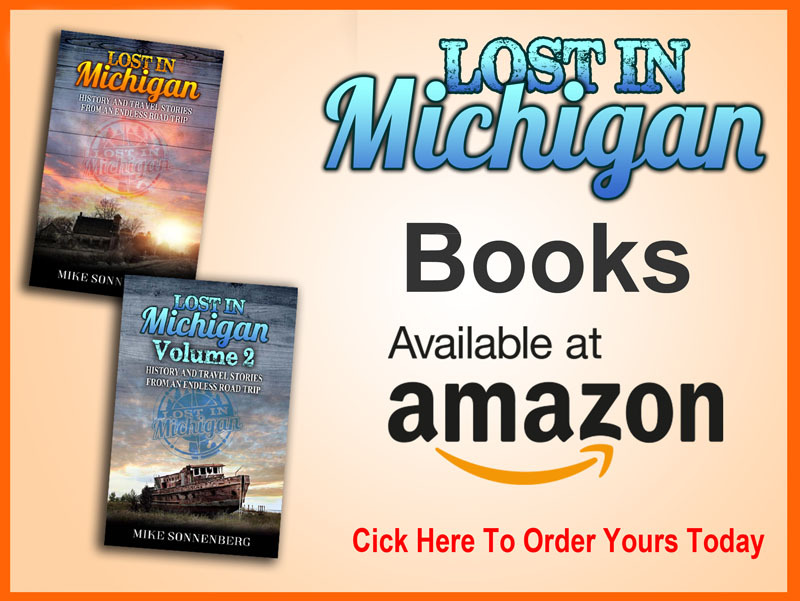 You can also order books from Pure Saginaw or you can find them on Amazon HERE. Thank you all again for your support and kind comments I love the city I grew up in and there are lots of wonderful people here. I am still working on more posts and hope to put together a Saginaw book too. but that may not be for a few years. Thank you to everyone who got one, your support for what I do really means a lot to me, I hope you love looking at your calendar all year long. 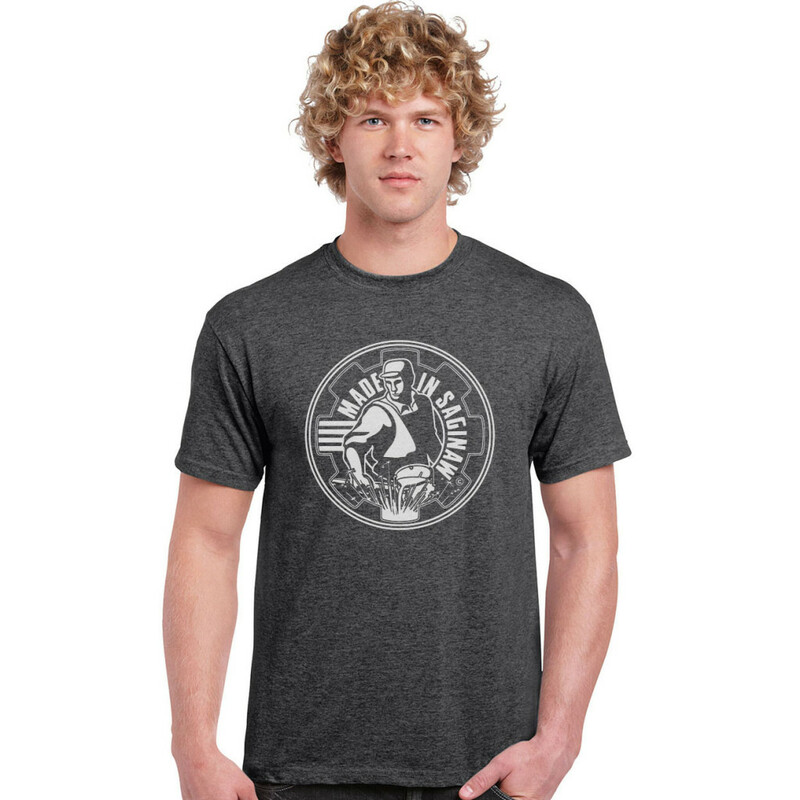 I figure it’s time for a new color shirt, since it been a while, I did a Dark Heather Gray t-shirt with a white Made In Saginaw logo on the front. Dark heather is probably the most popular color, and my supplier was out of stock over the summer, but now that they have them back in stock, I made some more shirts including ones with a Pure Saginaw logo and some hoodies. 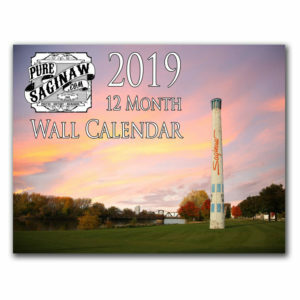 I also have Pure Saginaw wall calendars on sale this weekend, I am down to half a box left, I am not sure when they will be gone, but probably by mid December, so if you want one, now is a good time to get it while they are still available. If you got a calendar or shirt already, THANK YOU. your support really means a lot to me, and helps me do this website. I don’t get any funding from any group or organization and rely on the kindness of my followers who purchase merchandise from my website. 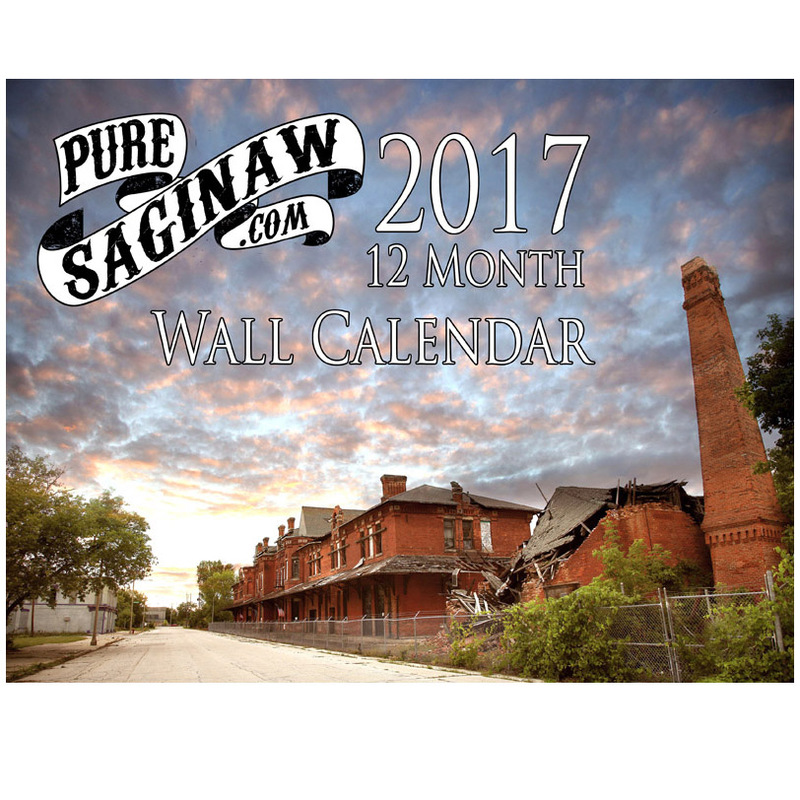 The 2017 Pure Saginaw wall calendars are in stock and on SALE this weekend. They are the lowest price they will be at for those of you that get one early. Thank You to everyone who got one last year, they help me with expenses to do this website, and I can’t thank you enough for your support. The calendars sold out last year, and this is a perfect time to get one. 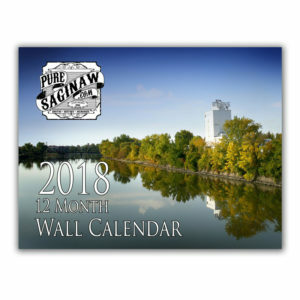 P.S I want to thank Dornboss Printing Impressions on Genesee Street for printing the calendars, they do fantastic work and I love that I can get my calendars printed right here in Saginaw. 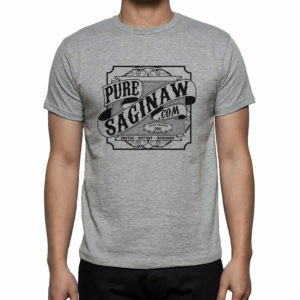 I thought it was time to for a different color Pure Saginaw shirt, so I did some gray t-shirts with a black Pure Saginaw logo on the front. 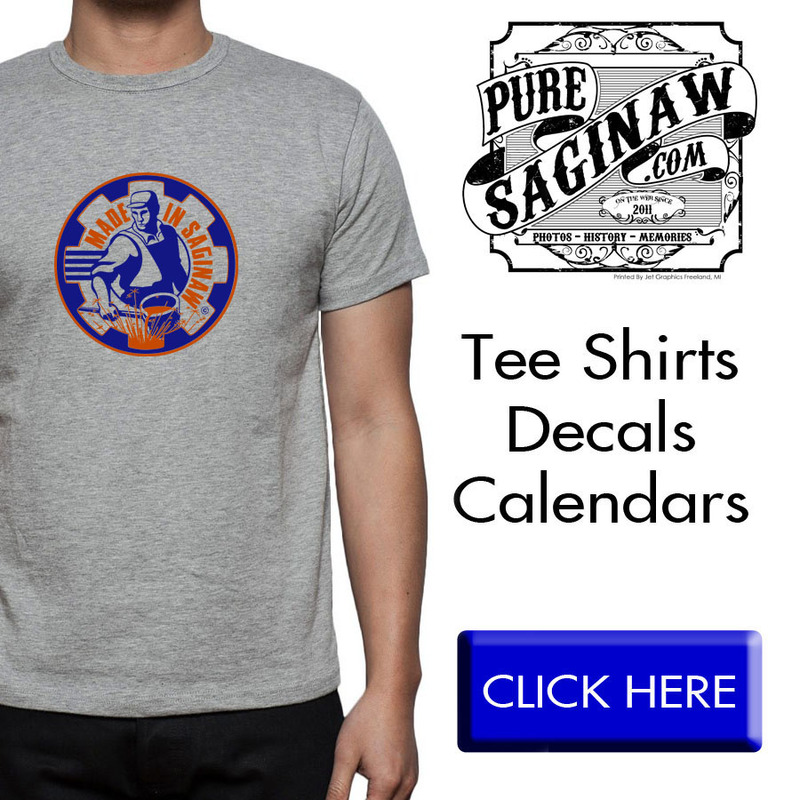 This weekend all Pure Saginaw Shirts on are Sale, I hope you will check them out since they help me with expenses to do my website. Some of my older styles and colors I only have a couple of shirts left, so if you want one get it before it’s gone. I don’t want to keep too many shirts in stock, so I will be rotating out different colors and styles. If there is something you like, I hope you will get one while they are available. thank you all for your support, it really means a lot to me that you enjoy what I do.